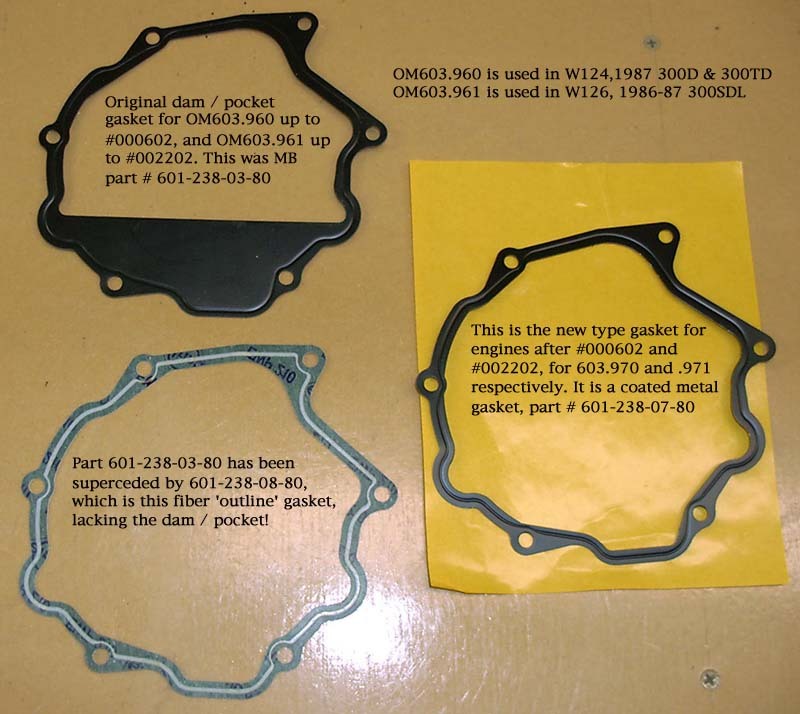 Oh, btw, the vac pump dam gasket is based on engine number... see photo below. Remember that the timing basket must be removed in order to use the dam gasket. If you don't need it... I would use an "outline" gasket, and leave the basket installed, to keep shrapnel from dropping into the oil sump (or timing chain!) if the pump decides it wants early retirement. The engine number is stamped on the block behind/below the main spin-on fuel filter, or you can look it up in the EPC datacard for your VIN.